After a string of stunning sunsets, our team wondered if the magic would last. This day’s end surprised us with a beautiful red rock easel from which to prop the Land Cruisers. 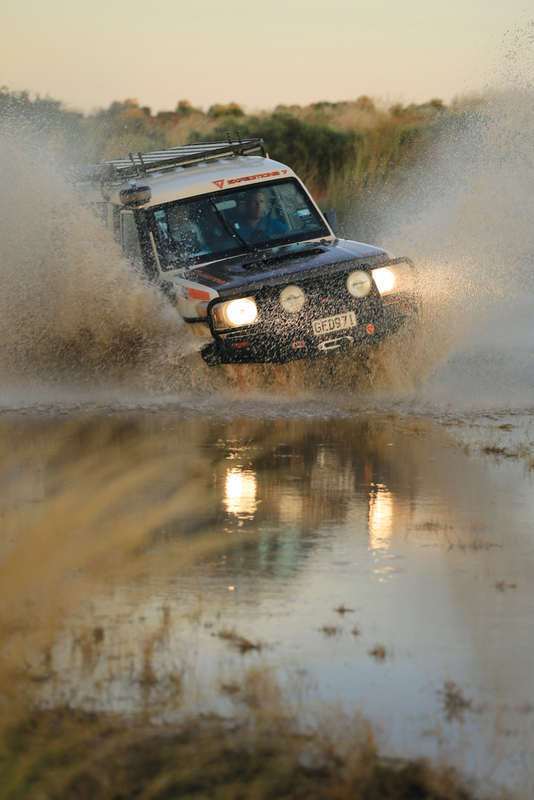 Stuck for hours and listing, the Land Cruiser was slowly taking on water. Even after broken trees, failed winch motors, and snapped lines, the team continued to improvise. I look back on this moment with a fondness few other driving experiences have afforded. We made camp on the dry Lake Aerodrome. 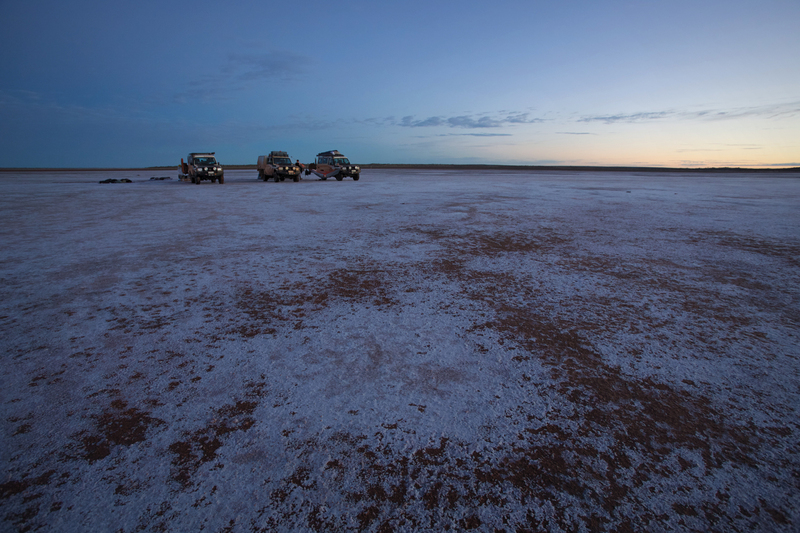 Its salt-encrusted surface provided a campsite worthy of an Apollo 11 landing and teased us with a three-hour twilight. We took hundreds of images as the sun faded beyond the indigenous lands of the Birriliburu, and the stars unleashed their brilliance. Cinematographer Bruce Dorn hung out the door of a rented helicopter to capture the Cruisers leaning left and right through the rutted terrain. We were the only vehicles within several hundred miles. 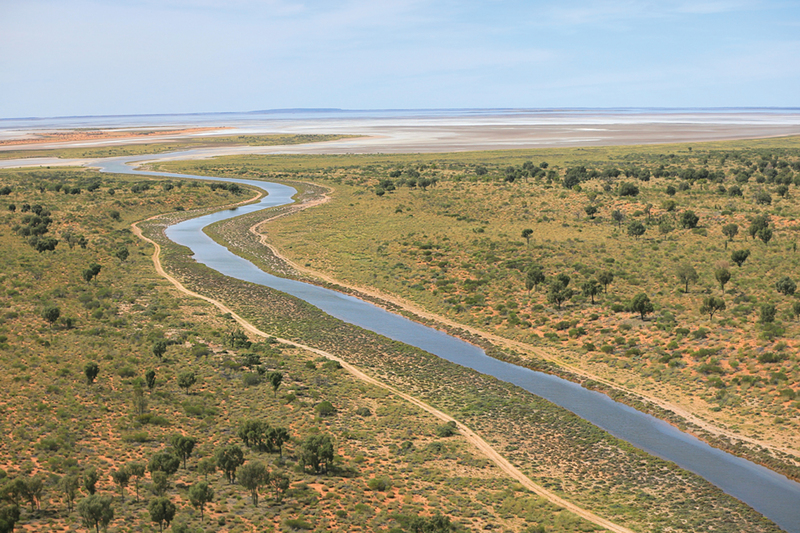 The Canning Stock Route was pioneered by equal parts necessity and wonder. 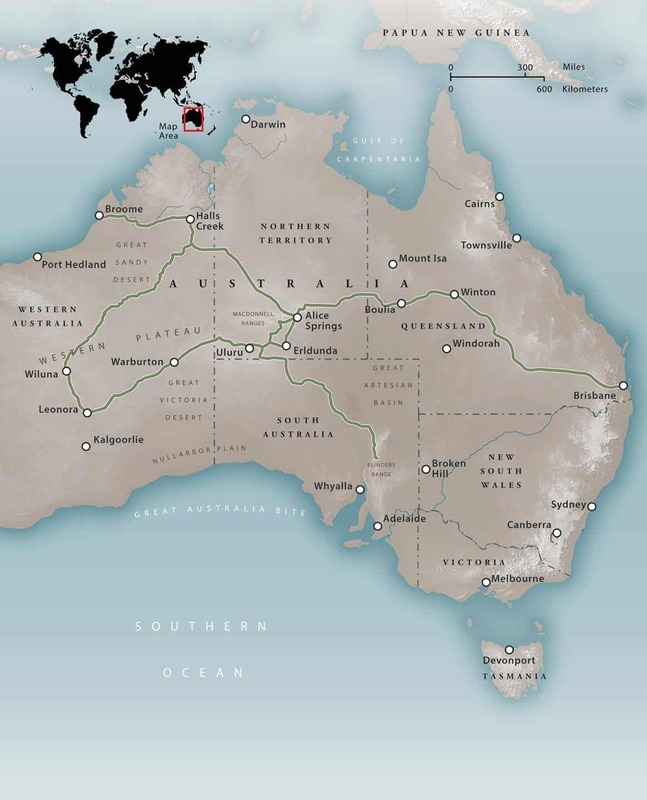 In the late 1800s the center of Australia was almost entirely unknown to European settlers, and intellectual curiosity spurned several expeditions into the region. The first, led by Lawrence Wells, suffered extreme hardship in their attempt to connect Halls Creek with the south. Ultimately, the cattle trade prompted the completion of the 2,000-kilometer track when it funded Alfred Canning’s 1906 expedition. By 1911, dozens of wells were constructed, but the route saw irregular use and was abandoned. The need to move cattle away from Japanese threats during WWII spurned a revitalized interest and reconstruction of many wells. 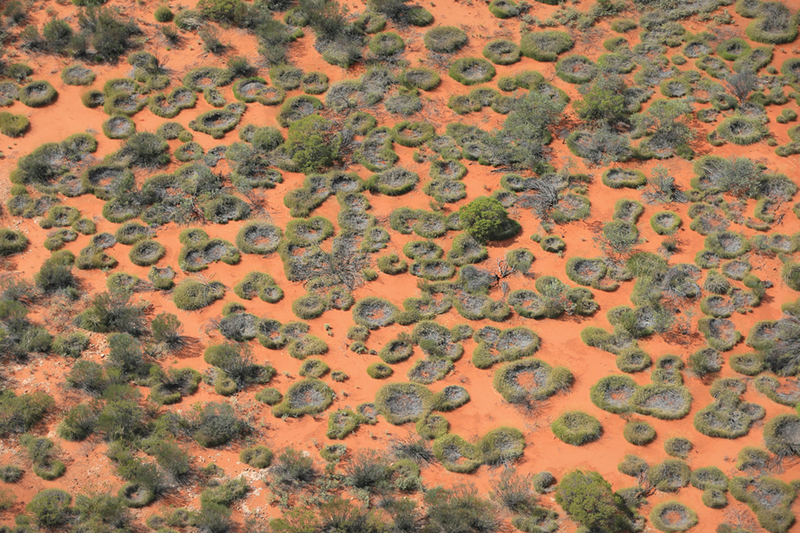 Many think that the Outback of Australia is barren desert. 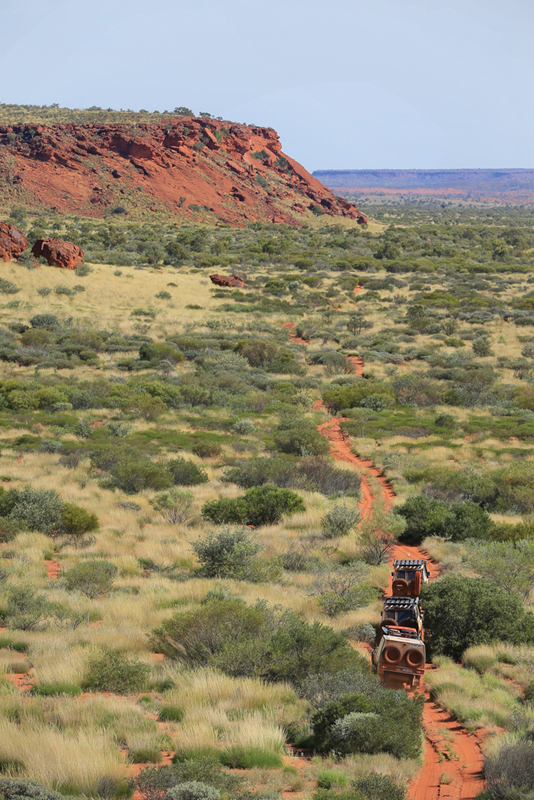 To the contrary, we found it to be verdant and ever-changing, supporting thousands of camels and countless kangaroos. The intricacy and diversity of the flora changed with each passing day, all brought to attention with the heavy summer rains. However, the vegetation was most compelling from the air, with tufts appearing as rondavels and watersheds teaming with color. The route wove through wild and untamed landscapes, reminding us that solitude can still be found in the first world. 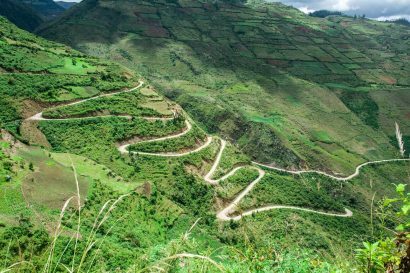 At 1,800 kilometers in length and with nearly 1,100 kilometers between fuel depots, it is arguably the longest unsupported overland route in the world. 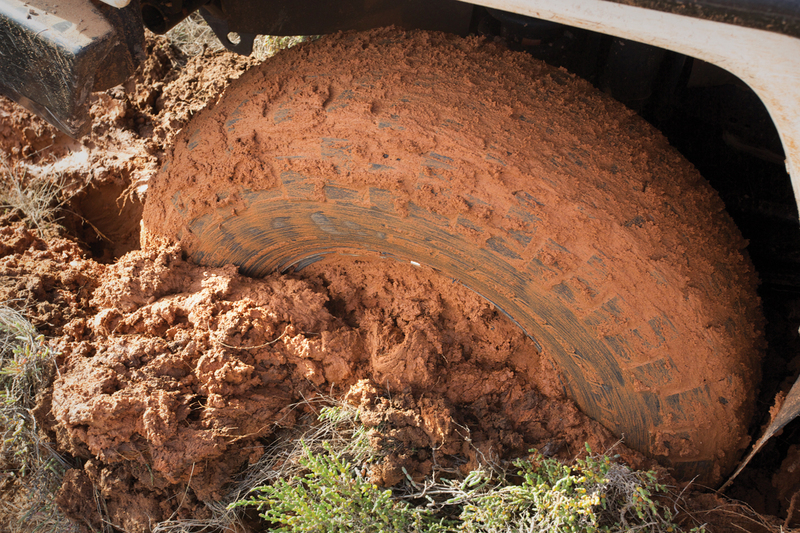 As we neared Lake Disappointment the conditions worsened; we fought deep water and mud, the clay packing the tires and undercarriage. Kurt Williams, Jeremiah Proffitt, and Kyle Patton worked tirelessly to dig, slog, pull, and recce our route forward. At one point during the night we had utilized every piece of recovery gear in our bags…occupants and kit were both soaked through with sweat and swamp. After nearly 24 hours, even the tireless Kurt was showing signs of fatigue, the constant effort and weight of the mud-logged equipment adding to the strain. Despite the physical exhaustion, the team never stopped working together—or giving me a much-deserved ribbing for getting stuck in the first place. There are an estimated 1,000 sand dunes along the track, and more than a few of them gave us trouble. After getting stuck on his first attempt, Jeremiah gave the V8 turbo-diesel some grief and launched the Sherpa 79 Series over the crest. As a fierce storm approached, the sky turned gunmetal gray, with rays of light accenting the long grass that comprised our exit from the Canning. 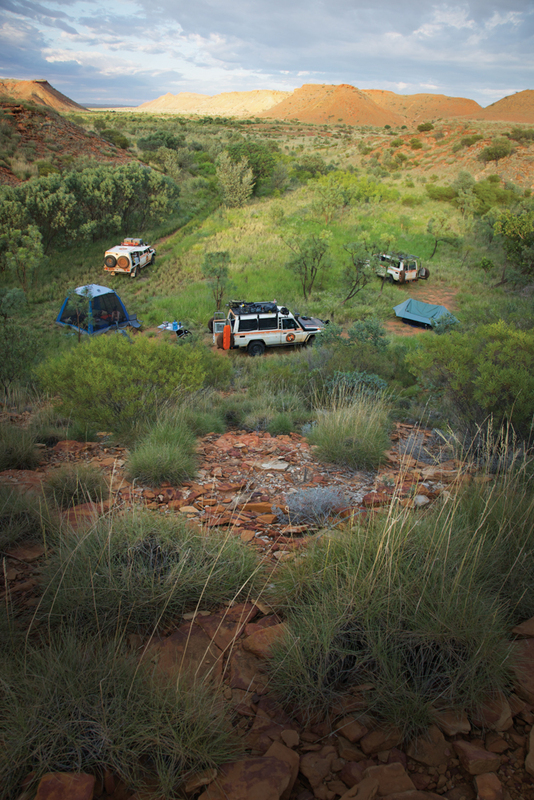 We pitched our last camp at Breaden Pool, circled the wagons, and drifted off to sleep under another star-filled sky. After traveling over 10,000 kilometers and crossing one of the greatest overland routes on the planet, we had reached a major milestone of the adventure. We were four days into the Canning Stock Route, the longest unsupported overland track on the planet, when an event occurred that would become known as the “Worm Hole.” Our team was attempting the 1,800-kilometer crossing in late summer, and ours were the first tracks of the season through the 1,000-plus sand dunes that bisect Western Australia’s Great Sandy Desert. Though temperatures can reach 110°F at times, summer in this part of the world is the tail end of the wet season, which can be a welcome challenge or potential curse. 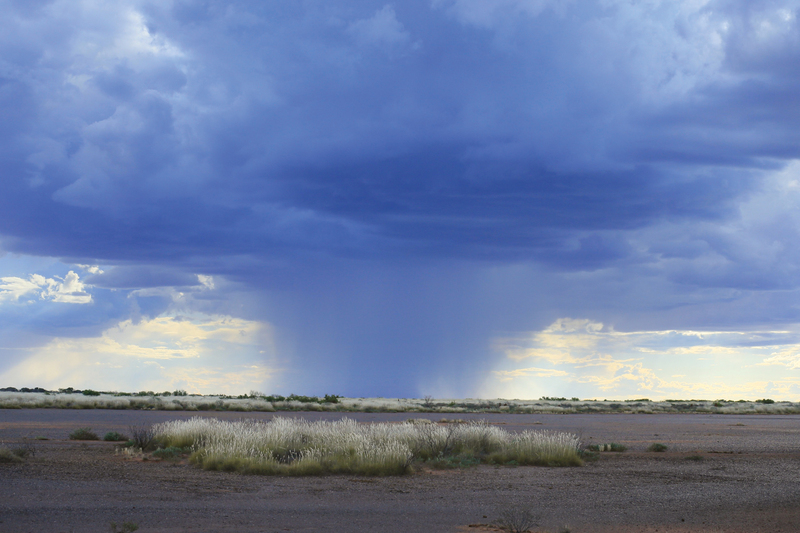 Standing water, the remnants of heavy rains that had pounded the desert, pooled in low-lying areas between the dunes. As we neared Lake Disappointment on day four, we encountered the first mud—a slippery top layer that gave way under any acceleration or slope. Within 100 meters, two of our Cruisers were axle-deep in a quagmire of vertisol, a thick, expansive clay. A combination of three Warn winches, six sets of MAXTRAX, and a little elbow grease finally freed the pair. 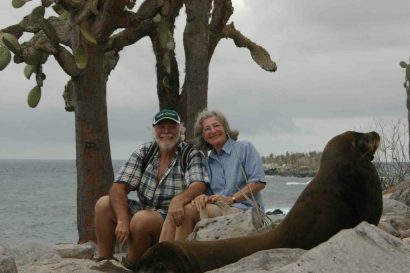 However, the evening was young and the Worm Hole, the most difficult predicament thus far in our seven-continent adventure, was about to unfold. 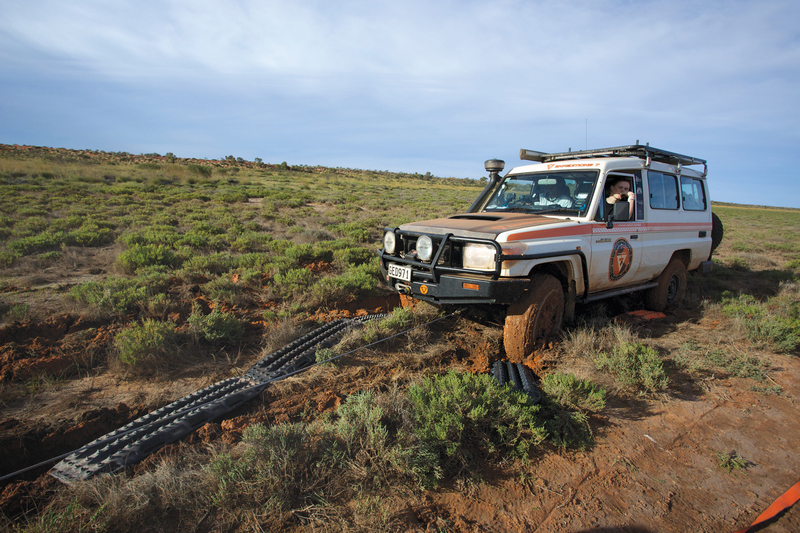 Knowing better than to spin the wheels and bury the 3.5-ton vehicle, we deployed a winch line to a forward tree, but the ground was too soft and the Troopy sank further towards Argentina. Kyle Patten, one of the heroes of the Expeditions 7 campaign, jumped immediately into action, battle-wrapping the winch line to the front bumper, grabbing tools, two pairs of MAXTRAX, and recovery gear. To compound matters, the second Cruiser had slipped slightly off-line and was also bogged. Fortunately, our trusty Sherpa II, the third vehicle, had not entered the water and was waiting on hard ground about 150 meters back. 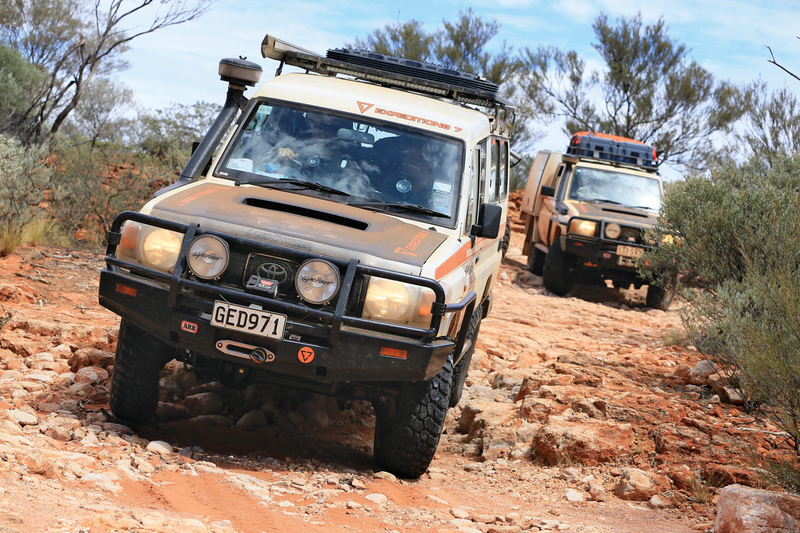 The plan was to use the second Troopy to recover the first, which went well until the winch line snapped. We repaired the line and repeated the process until the motor failed—winch number two was out of the fight. Unable to reach the Sherpa, there was only one solution: shovels, manpower, and a small mountain of MAXTRAX. Kurt Williams and Jeremiah Proffitt grabbed a couple of shovels and joined the struggle. It was a tough, slimy job, but these guys seemed to love it. The digging began and down went the tracks, 12 in total. 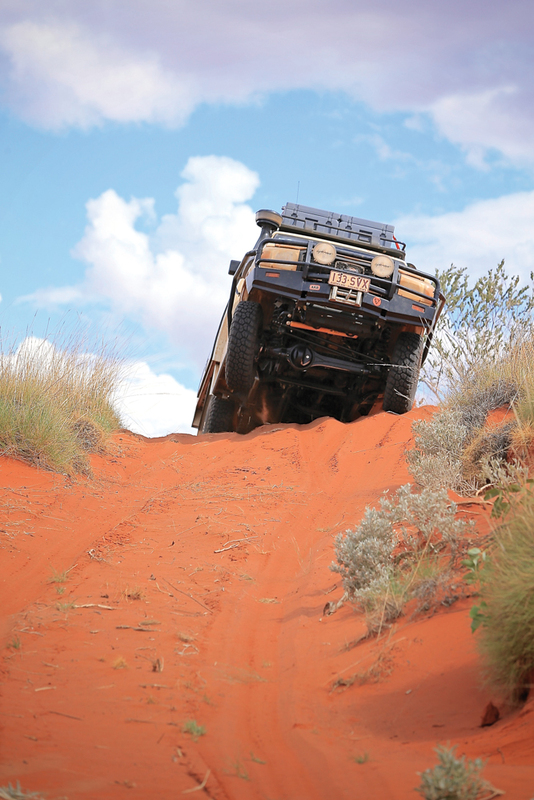 Slowly, one track length at a time, the Land Cruiser began to inch rearward. Once I was back on the solid surface (though still in several feet of water and far from dry land), attention shifted to Greg Miller’s truck. Out came every piece of recovery gear in our kit. We were glad to be well-stocked with extensions, tree straps, and replacement lines, and by some miracle they stretched all the way back to the Sherpa’s winch hook. It never faltered, and drug the VDJ78 rearward through the frame-deep mud and back to terra firma. The process took over two hours and nearly every piece of recovery equipment we had. My Land Cruiser was next. I began slowly backing toward the section of churned-up soup from the first recovery, while Kurt, Jeremiah, and Kyle sloshed through the bug-infested muck, illuminating the path of least resistance with their headlamps. When we reached the bog the crew proceeded to build a Roman road of MAXTRAX, moving two tracks from the front to the back as needed. Progress was slow but we were moving, and given the wee hour of the morning this was a good thing. The guys found a rhythm and were soon as efficient as an Indy pit crew. Within 20 minutes we’d backed out of the bog without ever receiving the business end of a winch line. By dawn, having driven, dug, winched, and slogged for nearly 36 hours, we emerged from the nightmarish grasp of the Worm Hole. A little worse for wear, this was by far the most difficult yet rewarding obstacle we’d faced as a team. 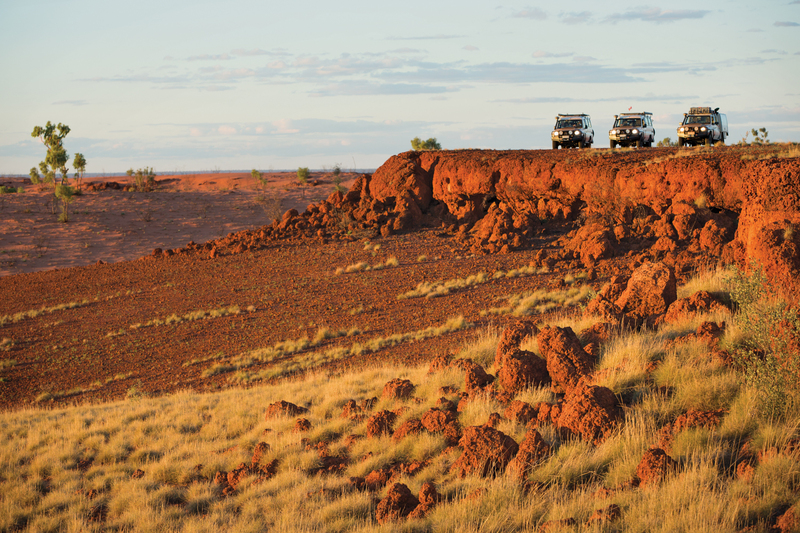 Australia’s landscapes are stunning and unforgiving, and proved to be some of the most memorable in our round-the-world journey. 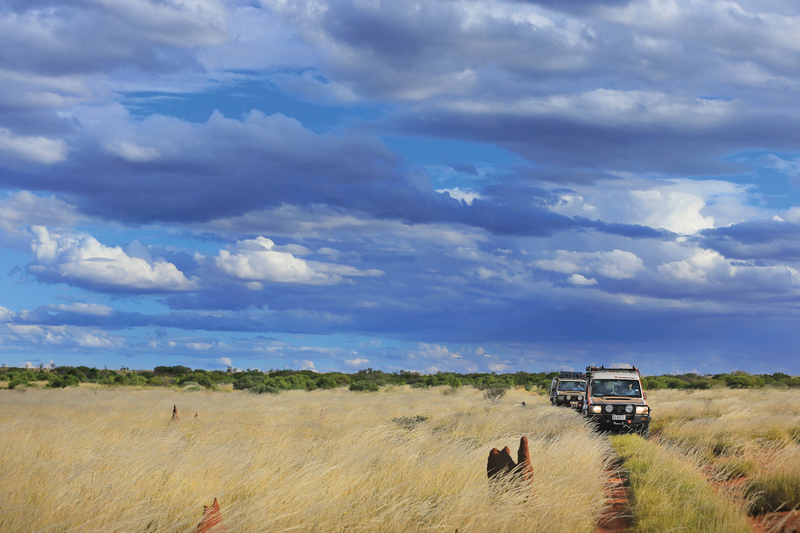 Follow along as we cross the Land Down Under’s most infamous road.